When it comes to customer communication, one size doesn’t fit all. Customer preferences for channels vary based on a range of factors. So which channel should your company use? Our answer is that phone and live chat serve different purposes. A customer may want to reach out via phone today, but live chat tomorrow. Why not give him both options? Let’s take a look at their different strengths so you can learn how your company can make the most out of both channels. Let’s distinguish written communication from verbal communication, with live chat support falling into the first category and phone support into the second. Each has its pros and cons. The advantage of verbal communication is that you can perceive the nuances of conversation. Making a joke, for example, is easiest via a verbal interaction. Every cold-calling salesperson knows that when you manage to make the prospect laugh, you’re in a good position. The disadvantage of voice, however, is that it doesn’t leave a record. A helpful phone support representative’s advice can go in one ear and out the other. Compare that to written communication where it’s harder to add human subtlety. Make a joke and you’ll risk being misunderstood, and it’s hard to assess the appropriateness of making one in the first place. Also, writing is slower than speaking – especially when you’re not experienced with a keyboard. One of the main advantages, however, is that written conversations are easily saved – you store them outside of your head. They’re also searchable with keywords and sharable with other support agents. A recorded phone call is like a black box compared to a live chat support or email support ticket. Another important factor to consider when evaluating the optimal uses of your support channels is the time between the production and consumption of the message. In a standard face-to-face conversation, production and consumption coincides. In most contact channels, however, there’s at least some time between the two. The more real-time, the more personal the channel will feel. Phone offers the closest experience to face-to-face communication because it’s the only support channel that offers both the customer and representative a connection in real-time. Live chat support also operates in real-time. Or at least it can. Messages sent over chat can be read and responded to right away. The advantage of live chat support is that messages don’t have to be read immediately if there is some reason that either the customer or support agent needs to focus their attention elsewhere. Live chat participants are able to multitask without sacrificing the essential elements of their interaction. Understanding where (or rather, on which device) your customer conversations will be taking place is essential as consumers become both more digital and more mobile. Phone is obviously a convenient channel for the mobile age, since consumers can call a support team from anywhere. Yet troubleshooting technical issues that require you to make changes on your mobile device while talking to a support representative on your phone can make things a little tricky. Live chat support is made for exactly this purpose – to help people navigate an issue while they’re on the web. For many businesses, their website is the core of their product. When there’s a question, live chat offers the most context, making it easier to resolve customer issues. Phone is obviously the most intimate of contact channels. When you want to make a personal touch, you either meet in person or talk on the phone. If you throw a party and invite me over Facebook, I might come… if I have time. Invite me by giving me a personal phone call, however, and I’ll make sure I’m there. Because of this, phone is especially valuable in industries where trust is important, like finance or healthcare. It allows for close contact and the construction of interpersonal relationships, the strongest foundation for customer loyalty. Live chat support is less intimate than phone support. Although it’s in real-time, you aren’t able to hear someone’s voice and pick up on all the cues that come along with a verbal interaction. Certainly, live chat is more intimate than other support channels – notably email – but it’s not the best option when you’re looking for that personal touch. Most people aren’t comfortable striking up a conversation with a stranger on the street. Evolutionary psychology explains this fear by our ancestors’ lives as hunter-gathers – when every stranger from outside the group formed a potentially lethal threat. The contact barrier of a phone call can also be considerable for some customers. Close to 5% of people in Western societies suffer from so-called ‘telephone phobia’, a social anxiety for making or taking phone calls. Although these are the extreme cases, picking up the phone can sometimes require more effort than customers are willing to exert. It takes time to look for a phone number and many people dread sitting in a call queue. For live chat support, the contact barrier is considerably lower. Few people have a problem chatting with a faceless internet stranger. (This explains the prominent role of chat in the online dating industry.) Besides, a chat is only one click away, so there’s not much of an effort involved in starting one. Research by Software Advice offers insight into which channels are suitable for which customers and questions. They conducted a survey on customer preferences with companies that offer both live chat and phone support as customer service channels, to help companies make more informed decisions about implementation. First, it shows that phone is the overall preferred contact channel. Live chat isn’t far behind. By neglecting to implement live chat support, companies cut the favorite contact channel of around 40% of customers. Second, the study shows that there is significant difference in people’s channel preferences based upon the content of their queries. For more personal issues, like financial queries, the intimacy of phone support is preferred. On the other hand, when it comes to simple and shopping queries live chat support is almost at an equal level as phone support. Some subtlety is added to this picture when we take the age of the customer into account. We see that live chat support is most popular for simple queries, with the majority of people aged 18 – 44 preferring to use live chat to have these answered and those from 45+ preferring the phone. Phone and live chat support each offer their own unique strengths and weaknesses. Instead of weighing either/or, why not offer both? By offering both, you offer a channel for all type of queries and all type of customers, canceling out their weaknesses. By adding live chat support, for example, you can reduce the pressure on your hotlines by absorbing the simple queries – freeing up energy for your phone reps to focus on the more complex ones. Because of their unique properties, practices in customer communication differ a lot between phone and email. Combining them effectively is an art in itself. That’s the topic Talkdesk invited me to talk about in our joint webinar “How to Combine Live Chat with Phone Support.” Click the button below for a second chance to watch the webinar in case you missed it! 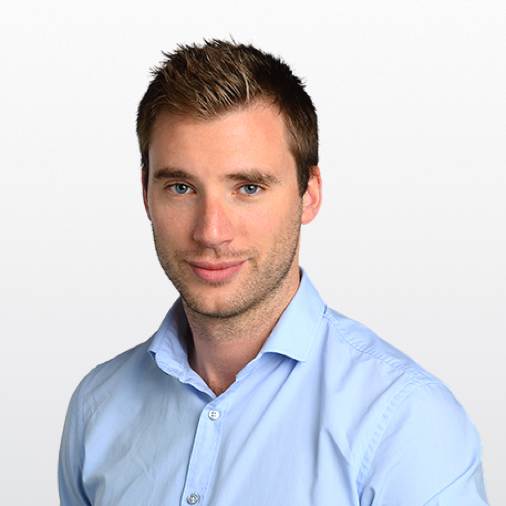 Pascal is head of marketing at Userlike – live chat for (mobile) websites. When he's not spreading the Userlike word, you can find him reading a book, watching an old movie, or playing fetch with his labrador.